A. a slight air resistance. 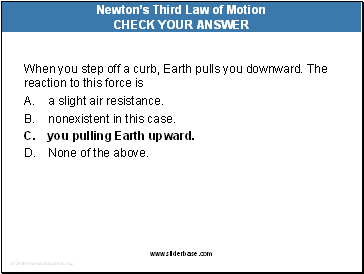 When you step off a curb, Earth pulls you downward and you pull the force upward. 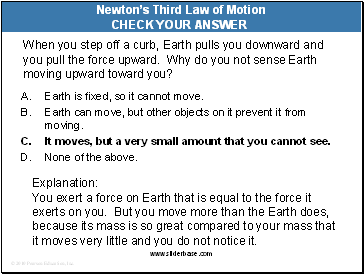 Why do you not sense Earth moving upward toward you? A. Earth is fixed, so it cannot move. 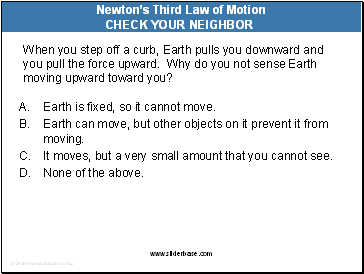 Earth can move, but other objects on it prevent it from moving. It moves, but a very small amount that you cannot see. You exert a force on Earth that is equal to the force it exerts on you. But you move more than the Earth does, because its mass is so great compared to your mass that it moves very little and you do not notice it. 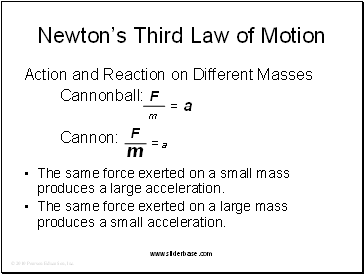 The same force exerted on a small mass produces a large acceleration. 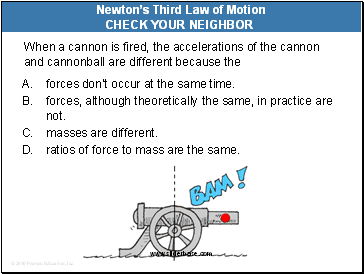 The same force exerted on a large mass produces a small acceleration. A. forces don’t occur at the same time. 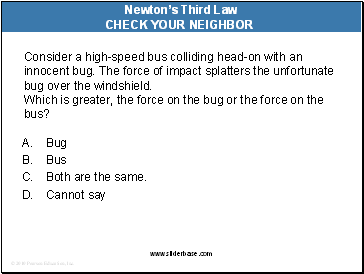 forces, although theoretically the same, in practice are not. 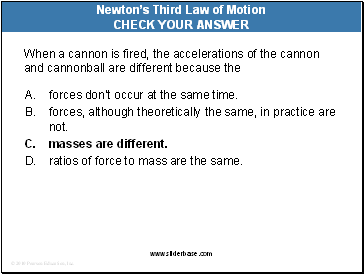 ratios of force to mass are the same.